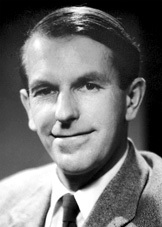 Frederick Sanger was a British biochemist awarded the 1958 Nobel Prize in Chemistry for his work on proteins, particularly for first determining the complete structure of a protein, that of bovine insulin. In 1980 he became the fourth person to receive two Nobel prizes (and the first to win the Chemistry prize twice) when he was again awarded the Nobel Prize in Chemistry, jointly with Paul Berg and Walter Gilbert, for their work on the chemistry of nucleic acids. Sanger and his colleagues found the entire sequence of the more than 5,400 bases in the DNA of a virus and some 17,000 bases of another DNA. Sanger's contribution was to refine the techniques for determining the structure of more complex proteins.